TV dinners are undisputably one of mankinds greatest inventions. Countless mariages have been saved by the possibility to dine and watch football simultaneously. Even exotic meals are readily available. 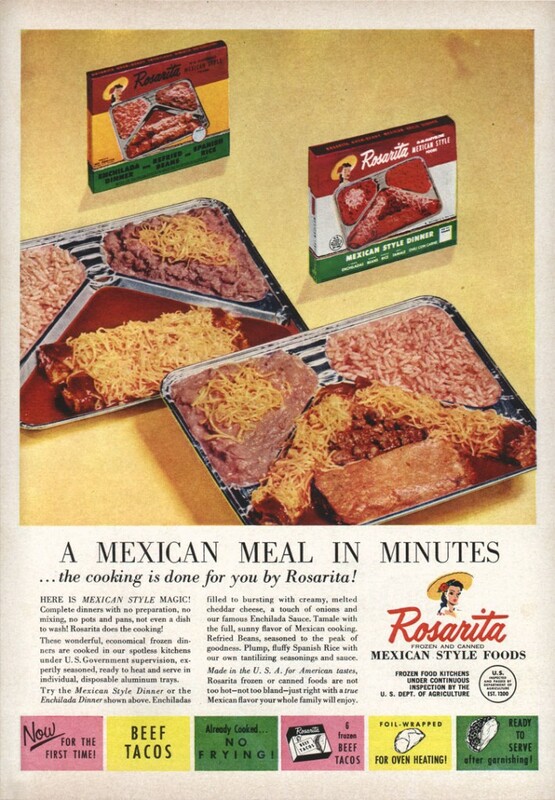 Montezuma’s revenge in three different flavours, made in the U. S. A. for American tastes and cooked in spotless kitchens under U.S. Government supervision.